Power. Confidence. Control. It’s more than just a prepaid card. It can be the difference between getting by and getting ahead! With Control Card Direct Deposit, you can get paid faster than a paper check. 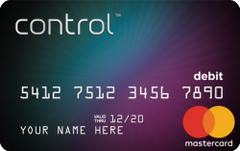 See additional Control Prepaid Mastercard Details.